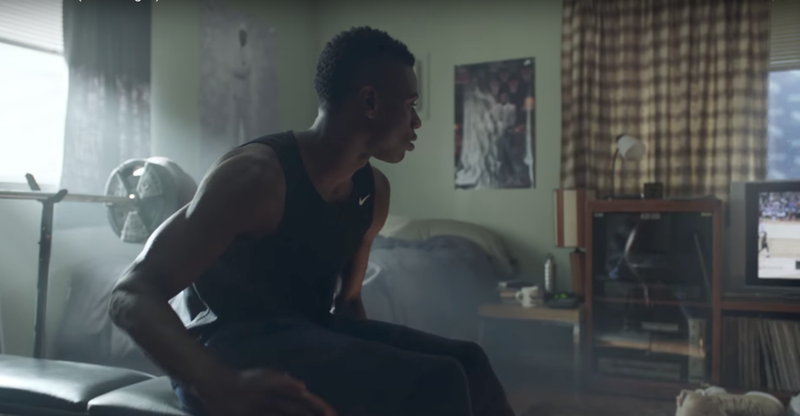 A look at Nike's "Want it all" ad. 0:54 secs: Player walking off of the court. 0:57 secs: Player sitting in the locker room watching highlights. The message about hard work and determination. Brand wasn't front and center.